All Bunco All the Time! Score sheets, Tally sheets, Bunko rules: Make Your Packages Pretty with Maison De Papier! Make Your Packages Pretty with Maison De Papier! 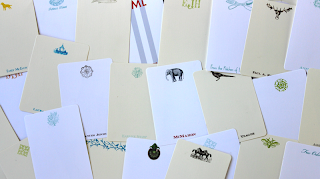 Not too long ago I discovered Maison De Papier, a fabulous stationary company with a whole lot of southern flair and it's based right here in Atlanta. 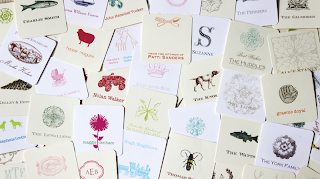 The creator, Jennifer Stephens, offers high quality stationary with a wide range of products and of course everything is customizable from embellishments to colors to fonts. 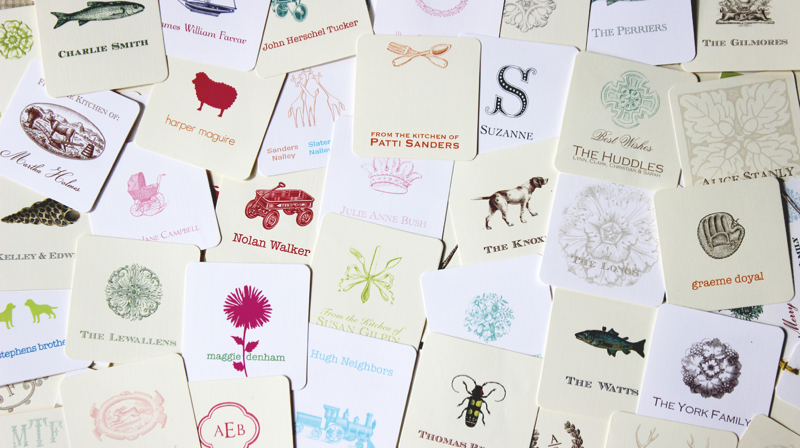 Her collections include Family, Women's, Men's & Sporting and Children and from within these collections, clients can choose from gift tags, calling cards, blotters and flat cards with coordinating envelopes... really anything your heart desires! 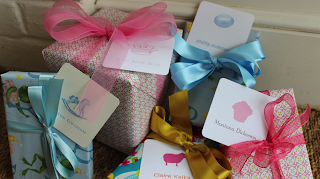 Jennifer Stephens' cards make these pretty packages pop! 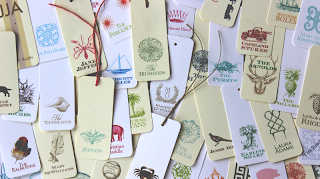 My absolute favorite product she carries would have to be her gift tags... these are perfect for a practical person like me. I must admit I'm not big into Hallmark cards. Rarely do I go out and buy a card that says 'Happy Birthday' or 'Congratulations' to accompany my present. It's not that I'm cheap... I'll spend the $3 on a card, it's just that half the time I can't find one worth reading. The cards I pick up are either not as humorous as intended, or they sound cheesy as if in need of something sentimental. Not to mention it takes too much of my time going through all the selections only to settle on one I'm not really crazy about. So all too often I find myself bypassing the card, which is exactly why Jennifer's gift tags are perfect for me. I just tie one around my gift bag, maybe write a short and sweet line or two on the back and there you have it... a pretty and customized topper for your package! 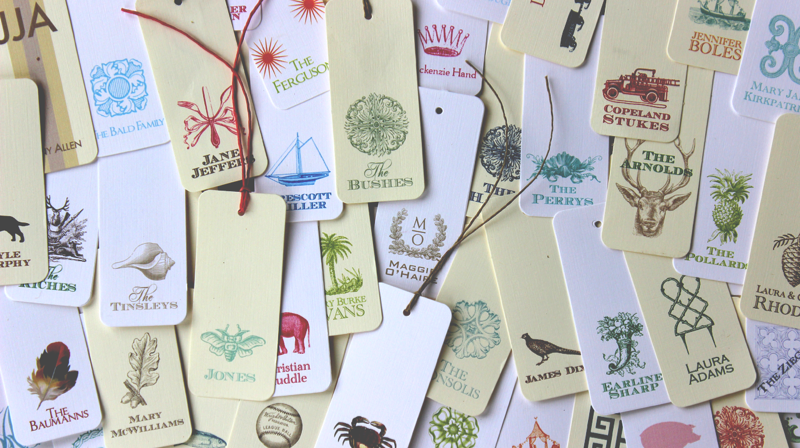 To purchase 24 gift tags you spend $24 so they're a great buy in my opinion. Recently, I purchased two sets from her, one bearing our last name and the second with my daughter's name, and needless to say I've put them to good use! You can see a picture of these below. I've enjoyed using them so much that I plan to buy more and give them as gifts! These I like to drape over a bottle of wine and give as a hostess gift when invited to a dinner party. Toddlers' birthday parties are a big part of our world these days so I knew having some customized for my daughter would be a wise spend. One last thing, as I was perusing Maison De Papier's website I noticed they were featured in one of my favorite magazines, Garden and Gun. This is a publication my husband has been in love with for some time now and I too have been sucked in by its literary charms. If you have never read a copy of Garden and Gun and you have an appreciation for the finer things the South has to offer, then I highly recommend this magazine. It's more sophisticated than the title may imply, but I think the name is befitting considering the wide range of topics their articles cover. 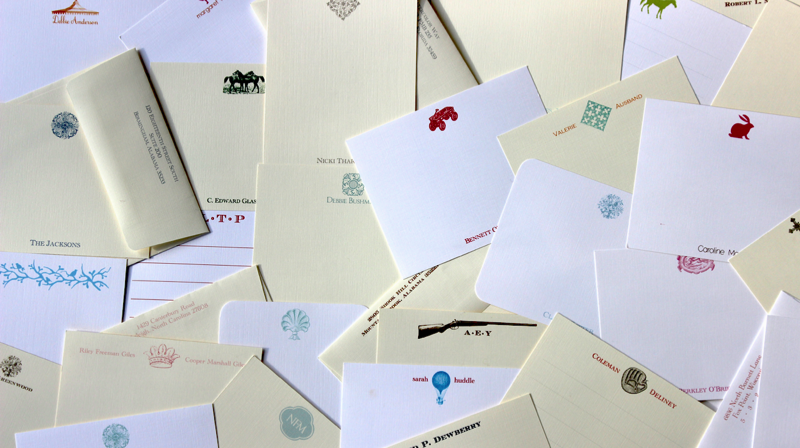 It's a real honor that Jennifer's lovely paper products were featured in this publication. You can read their tribute to her craft here.